I chose to depict two cats playing on a rope, where the rope would be the necklace chain. 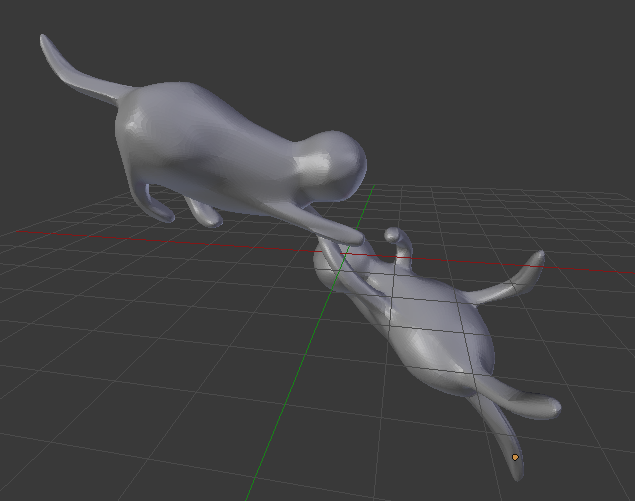 As a tool, I decided to use Blender, because its sculpting tool seemed easy enough to use. I'm not really experienced enough to give any tutorials on Blender, but I'll just show what I did and how it turned out. To start with, I made a sketch of the scene with the grease pencil tool. It may not look like much, but this took 30 minutes to draw. 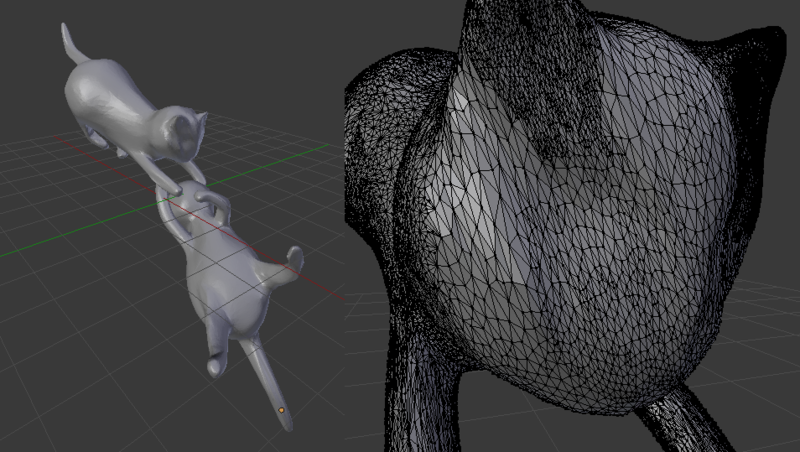 Next step was to place cylinders and spheres to get the basic shape of the cats. After that, I used the boolean union function to combine the basic shapes into a solid mesh. Just a simple "join" in Blender is not enough, I needed to use a script to properly combine the surfaces and remove any overlapping parts. 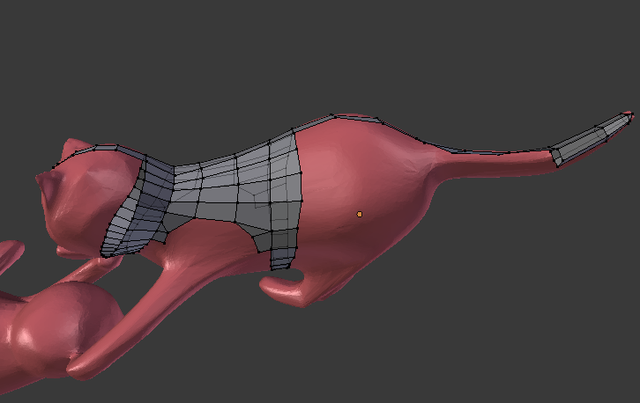 This enabled the use of subdivisions and the sculpt tool to begin refining the shape. At this point it already began to look a bit like two cats, which is somewhat surprising if you look back at the phase 1 sketch. However, it appears that either my basic shape or my sculpt tooling had some problems. As I worked on the sketch, it became increasingly difficult to bend it to my will. Some research indicated that this was due to topology problems in the model. Basically, some of the mesh triangles were tiny, some were stretched and long, and some were large. Therefore different areas of the model acted differently when sculpting. 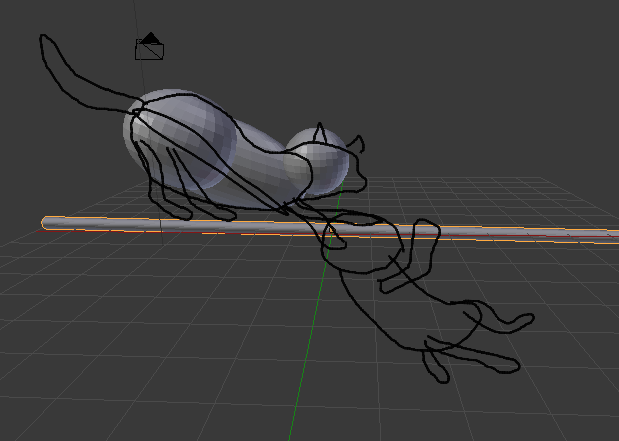 The dynamic topology feature of Blender's sculpting tool seemed to only make it worse, as shown in the image on the right below. 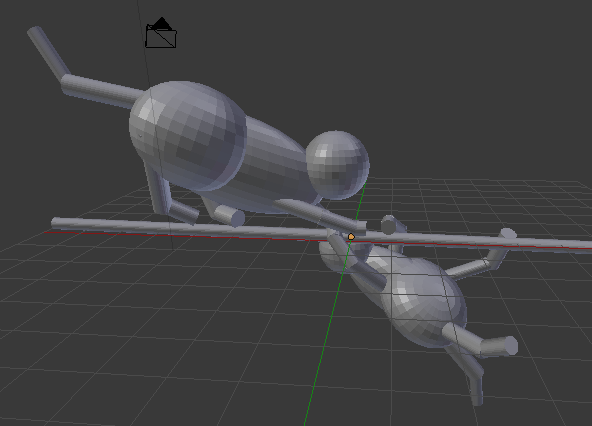 Unfortunately, it appears that the only way to get out of this trap is to do a retopology on the model. This means that the whole surface of the object has to be manually reconstructed out of triangles and squares. This is a quite laborious, time-taking and boring operation. 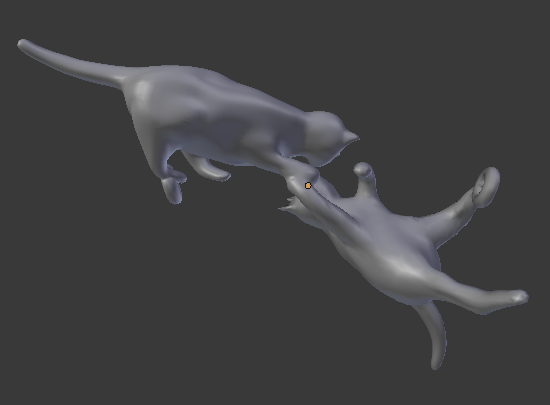 To see whether I was going in the right direction, I chose to sculpt one of the cats to completion first before starting the retopology on the other one. Fortunately, the retopology seemed to help my sculpting troubles. On the new model, I used Blender's multiresolution modifier which allows one to perform sculpting at many subdivision levels. This further helps avoiding the original stretched faces problem. The final step was to make sure that the model fits all of Shapeways' design rules, and to add rings for mounting the necklace chain. 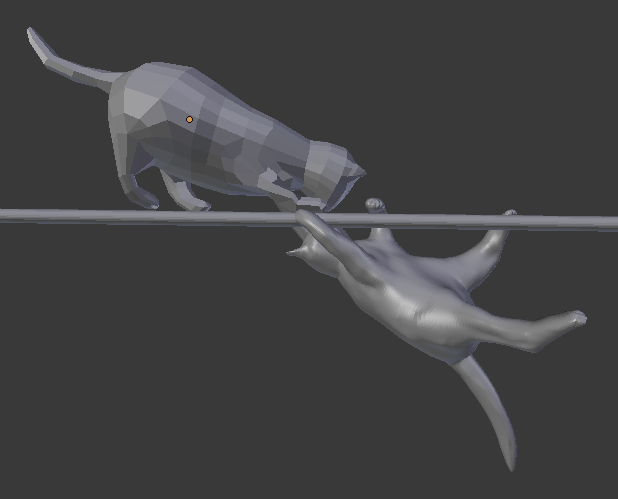 After that, the model is ready for printing. The print quality turned out to be really good, and fortunately there weren't many problems with the model either. I did have to file the chain holes a bit to make a 1 mm chain fit, which could have been avoided by making the rings a bit larger (I had just 0.1 mm gap in design). 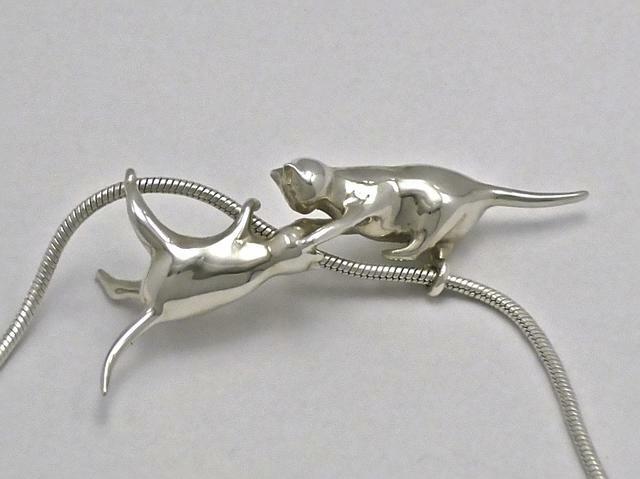 It is worth noting that the Shapeways' polishing process tends to make small ends sharper. Therefore it could be a good idea to make them exaggeratedly thick and blunt in the model.